In 2012, J.A. Bayona delivered a masterful and emotionally draining nature disaster titled The Impossible. Based loosely on actual events, the film followed a family vacationing in Thailand who gets separated when a tsunami destroys their resort. The tsumani effect (pictured above) was remarkable. I honestly could watch the scene of the wave, and its horrific aftermath, over and over without ever figuring out how Bayona filmed it. But for the rest of the movie, Bayona and his cast compel you to care deeply about the members of this family, and whether they will reunite. Credit goes to Naomi Watts, Ewan McGregor and soon-to-be-Spider-Man Tom Holland. But also, credit to the storytelling prowess of Bayona, to make The Impossible a gripping and cathartic tearjerker. 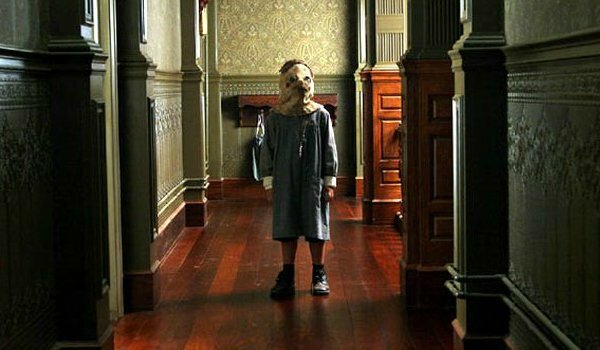 Bayona’s debut was a bait-and-switch horror movie called The Orphanage, which followed a woman who returned to her childhood home, only to find her son behaving … strangely. Forgoing jump scares (save for a brilliant trick that involved a bus), The Orphange slowly pulled audiences into its web. You won’t realize how far you have crept to the edge of your couch until you’ve finally tumbled off if it. Now, here’s the rub. So long as he’s allowed to, Bayona will be able to milk real tension out of a Jurassic World scenario, as this dude knows how to turn the screws. Throw dinosaurs into his arsenal, and Jurassic World 2 could have audiences around the globe chewing their fingernails off in bloody suspense. But will Bayona be tasked with delivering dino set piece after dino set piece? Let’s hope not, because a slow-burn Jurassic World sequel, paced like the original Jurassic Park, is exactly what Bayona’s wired to do. We won’t get to see J.A. Bayona’s third film, A Monster Calls, until October 14, when it’s released in theaters everywhere. But the trailers for the film promise something extraordinary … and completely out of the ordinary. Which, to be honest, is exactly what we’ve grown to anticipate out of Bayona. Based on the novel by Patrick Ness, Monster follows a young boy who needs to escape his harsh reality – peppered by bullies, and his mother’s illness – by conjuring the idea of a monster. Liam Neeson voices the tree beast, and the mood of this clip is menacing and inviting – a balance very few outside of Bayona are usually able to strike. Naturally, J.A. Bayona is a risk for Jurassic World 2. Like Colin Trevorrow before him, he hasn’t done a ton of major-budget blockbuster effects work (though The Impossible, as mentioned, melts my brain with its accomplishments). But Bayona’s exactly the type of filmmaker that you roll the dice on, because if (and when) he hits a home run, you’ll look like a genius for giving him a shot at the plate. Jurassic World 2 has a release date of June 22, 2018.